A boy needed hospital treatment for a broken jaw, damage to his hearing and a cut head after he was attacked by a group of people in Eaton Park. Police are appealing for witnesses to the assault which happened at approximately 9pm on Monday September 18 in Eaton Park, South Park Avenue. The 14-year-old was approached by the group, some of whom were known to him. He is now at home recovering from his injuries. Officers are keen to hear from anyone who was in the area at the time and may have witnessed the assault. Anyone with information should contact PC Emma Gray from Norwich CID on 101 or alternatively contact Crimestoppers anonymously on 0800 555 111. This entry was posted in Eaton & Cringleford, Home Page and tagged Eaton Park, Norfolk Police on September 22, 2017 by Gay Webster. Police are looking for a youth who spat in the face of an elderly woman in Norwich. 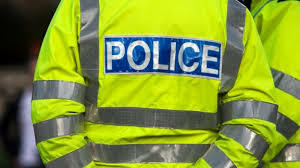 The assault happened between 2pm 2.30pm on Friday July 21 when the victim was walking along Corie Road heading towards Dehague Road, which borders Eaton Park. A group of three or four males approached the victim from the other side of the road and one of them spat in her face. The suspect fled the scene with his friends who were all on bicycles. He is described as being white, approximately 15-years-old, with dark short hair. He was wearing a white top and grey trousers/jogging bottoms. Contact PC Ian Betts from Earlham Police Station on 101 or alternatively contact Crimestoppers anonymously on 0800 555 111. This entry was posted in Eaton & Cringleford, Home Page and tagged Corie Road, Dehague Road, Earlham Police Station, Eaton Park on August 2, 2017 by Gay Webster.